Gingko Audio and Danacable will be in Room 416 at the LA Audio Show with Aurum Cantus speakers and Wells Audio’s Majestic amplifier. We also will be in the HeadGear Room with the now famous Danacable and Gingko ARCH demos. Gingko Audio will again team up with Salk Sound, Wells Audio, and Danacable at the AXPONA Show in April in Chicago. We also welcome new partners Exogal and Bybee Technologies. 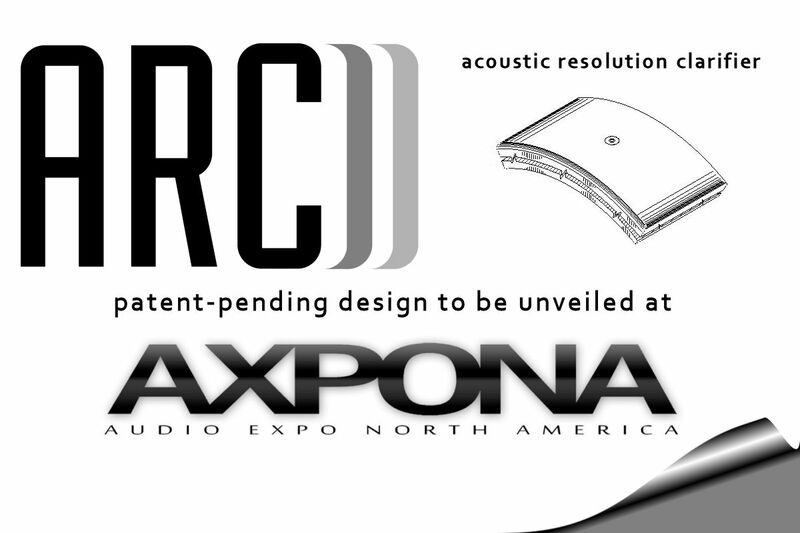 We will unveil the new patent-pending ARCH Acoustic Resolution Clarifier at AXPONA. 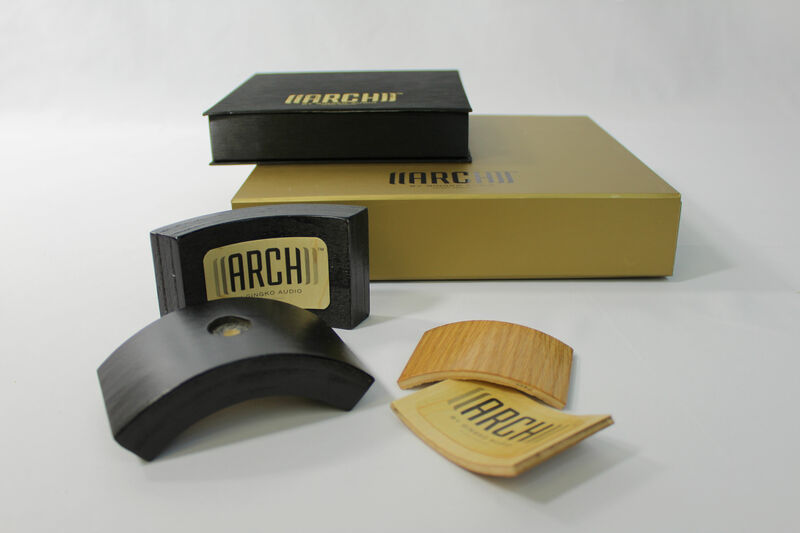 Read about the ARCH Technology and how it works. 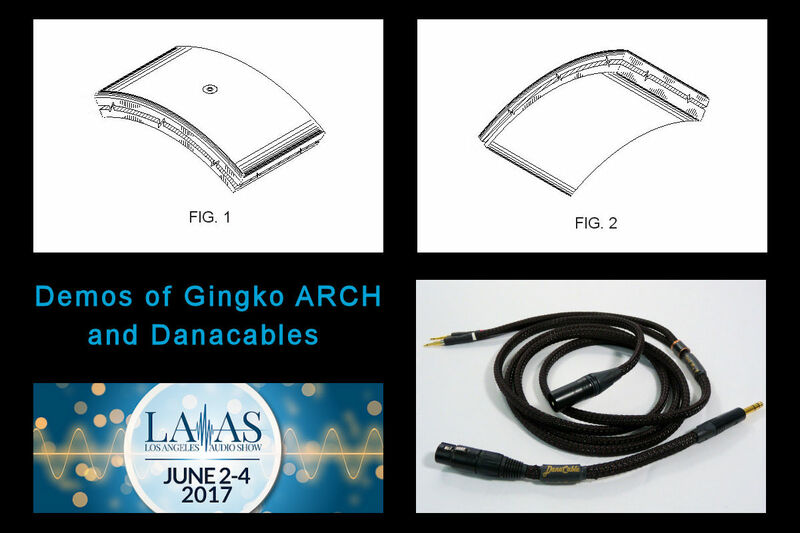 Gingko Audio/Danacables – Proud Sponsor of Astral Concert! We at Gingko Audio and Danacable are doing our part in supporting the arts. This fantastic program is a part of the Astral In Concert series featuring the best young talents in classical music. 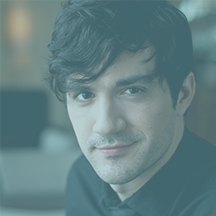 Astral is a non-profit organization whose mission is to discover the most promising classical musicians residing in the United States, assist their early professional career development, and present their world-class artistry to the community through concerts and engagement programs. Salk Sound, Wells Audio, Luminous Audio, Gingko Audio, and Danacable team up for AXPONA 2016. We will showcase the world premieres of several products, in three different rooms. World premiere of Salk StreamPlayer Generation III (MSRP $1,695), headless, fanless Roon-ready Linux-based music server (features updated Roon version 1.2 due to be released just prior to AXPONA). VPI Prime turntable with 3D arm ($4,000) and Soundsmith Hyperion cartridge ($7,500) feeding Luminous Audio Arion phono preamp ($6,795). Salk Exotica 3s speaker system ($12,995) driven by Wells Audio Innamorata Signature amplifier ($15,000). Gingko Audio and Danacable products throughout. World Premiere of Salk PowerPlay monitors ($2,295), fully active monitors with built-in DAC, preamp and amps, featuring three switchable inputs (analog, coaxial S/PDIF, and USB) with remote control of inputs and volume. World premiere of Wells Audio Majestic integrated amplifier ($3,499). World premiere of Salk yet-to-be-named 3-way speaker system ($2,895). World premiere of Salk StreamPlayer Generation II Mini in a smaller case and lower-power processor ($1,195). Lampizator Amber PCM/DSD DAC ($2200). This system is wired up with Danacables ($3,780). We are offering a complete system (Majestic, Salk 3-way, Lampizator Amber DAC, and Danacables) for a show special price of $9,899 (20% off MSRP of $12,374). World premiere of Wells Audio Milo headphones amplifier ($1,499). 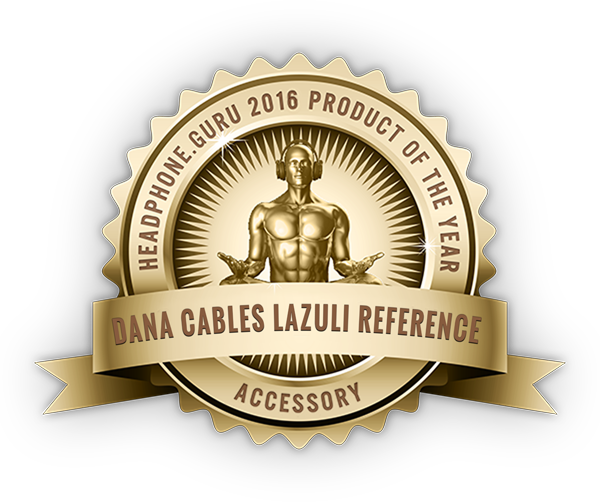 We will show a direct comparison of Danacables versus stock cables for Hifiman, Enigma Acoustic, and other headphones. Please contact Vinh Vu at gingko@gingkoaudio.com if you want to schedule a private session in any of our rooms. So Which Cloud™ Is Right For You? So you’ve read all about Gingko Audio’s vibration control products – from the inexpensive Mini-Clouds to the Cloud 14A that is designed specifically for lighter components to the Platformula™ rack. This simple guide will help you pick the right Cloud™ for your application. Each Gingko Audio vibration control product has a bottom plate with dimples on it to hold the balls. The balls provide suspension to support a load. Adding more balls creates stiffer suspension, while removing balls results in softer suspension. A stiffer suspension will make the music punchier, with more dynamics, while a softer suspension will make the music fuller, with more body. 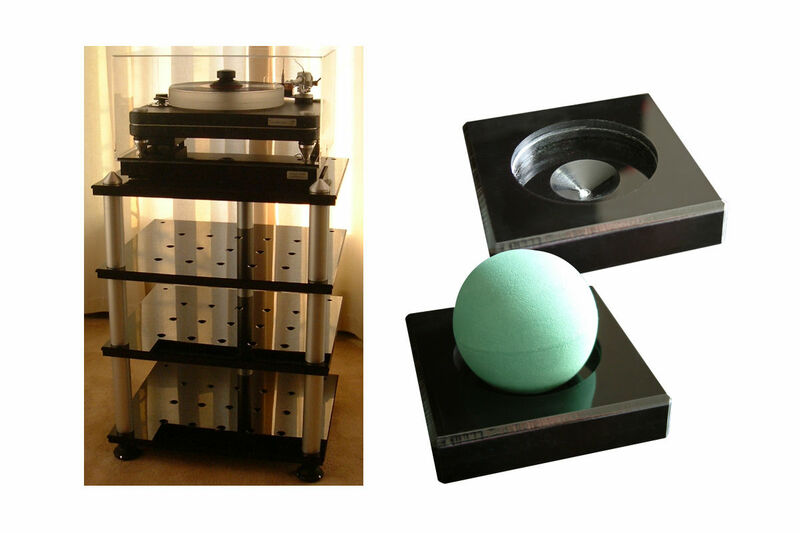 You can tune the music to your taste by adding or removing balls from the Cloud™ base. You will need a minimum of three balls to support a component. Each ball is designed to support an optimal weight of 10 lbs and a maximum weight of 20 lbs. The number of dimples on the bottom plate vary across the Cloud™ Series. The Mini-Clouds come as sets of three bases with individual dimples. The Semi-Cloud has 9 dimples so it can hold a maximum of 9 balls for an optimal load of 90 lbs. The Cloud 10 has 15 dimples. The Cloud 11 has 10 dimples inside larger wells to prevent the balls from rolling off the dimples. Besides the suspended Cloud supporting the plinth, the Cloud 12 has a separate fixed platform to hold the motor pod to prevent the vibration from the motor to transfer to the main turntable. 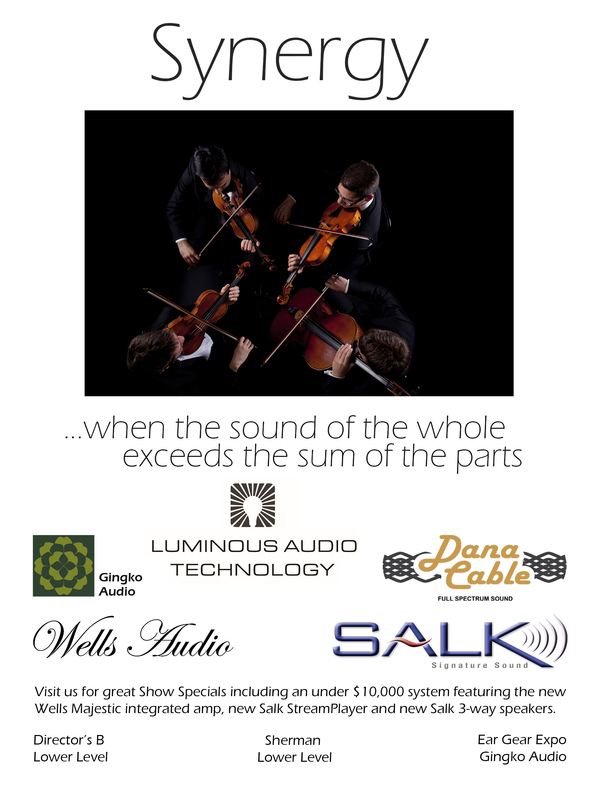 Gingko Audio/Danacable with Salk, Lampizator, and Wells Audio picked among Best in Show rooms at Capital Audiofest 2015. Gingko Audio/Danacable with Salk, Lampizator, and Wells Audio given Positive Feedback Audio Oasis Award at The Show Newport 2015. Gingko Audio/Danacable with Lampizator, and Wells Audio given Positive Feedback Audio Oasis Award at AXPONA 2015. DanaCable was in the DSA/VPI room, picked Best Sound by HifiDesign at RMAF 2014. Gingko Audio/DanaCable room picked as one of the Best of Show rooms at NYC 2014 Audio Show by Rick Becker of Enjoy The Music. A vibration-control platform that, in some embodiments, includes a bottom plate having three or more wells. The wells receive a plurality of vibration-control elements, which are used to isolate a supported object from vibrations. In some embodiments, the vibration-control elements are rubber balls. The presence of the wells facilitates placement of the vibration-control elements under a top platform or directly under an object, especially when the object is located in a tight space, such as in a component rack, or when the object has a non-uniform weight distribution. 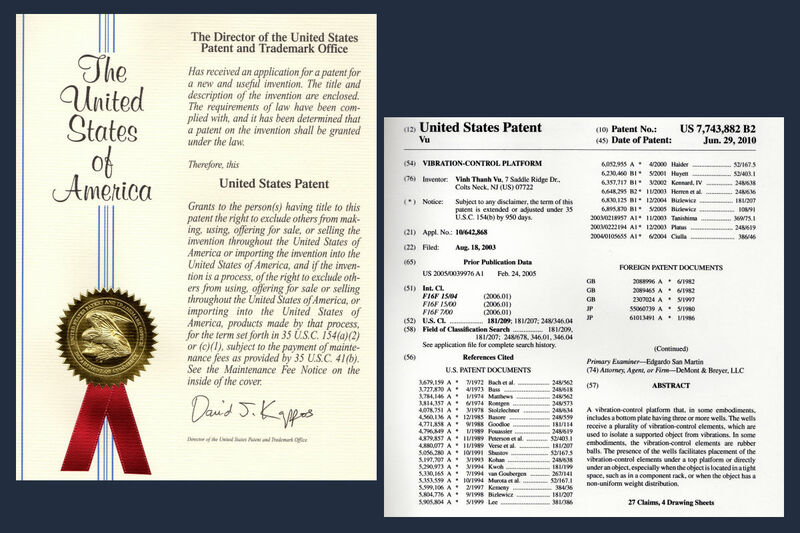 The patent shows an embodiment of the Platformula™ technology in the Cloud vibration control platform design. Since its introduction in 2004, the Cloud platform has garnered many awards and rave reviews. We have demonstrated its efficacy at many audio shows where an overwhelming majority of the showgoers agreed that they hear a significant and consistent improvement in the sound with the use of the Cloud under audio components. We have sold thousands of Clouds to happy customers worldwide.